The Kitchen Safe: A Solution for Over-Snacking? 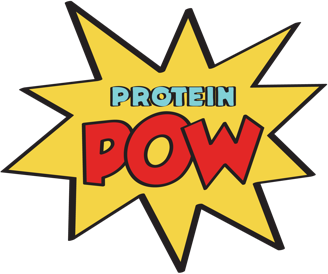 I don’t often do product reviews here on Protein Pow but this you’ve GOT to see. It’s a kitchen safe and, if you’re prone to over-snacking, it has the power to change your life. The idea was conjured up by this guy David who went on kickstarter.com to raise some funds from the public and make his kitchen safe dream reality. Forty five days after introducing his idea on Kickstarter – and thanks to the support of hundreds of people who believed in it as much as he did – the kitchen safe became a reality! To many people, the Kitcnen Safe represents the perfect solution for over-snacking. Sure, mobilising self-control and having just ONE cookie, or bar, or whatever candy makes your heart beat the fastest is dandy and kudos to you for doing it. But a lot of people can’t help themselves from having a second a third and possibly even a twentieth serving of X. Or at least they can’t do it ALL the time. That’s where the kitchen safe comes handy. You basically set it up to a given date/time and then it locks until that date/time arrives. The maximum you can set it is ten days but I think this is perfect because ten days are usually just the right amount of time to have a little reward for ten days of being on track to achieving whatever one’s goal is. Obviously the ‘reward’ doesn’t have to be food though! You get the idea. And it’s fun because it’s see-through so you can see what you’re working towards, or missing out on, or waiting for, etc. I personally like to use it for Quest bars because sometimes, in moments of stress when I can’t be bothered to cook because I’m running around like a headless chicken working on top of work, I often have not one or two but three bars in a day. I’m not a fan of doing though because a) that’s too much fiber I should have taken in through vegetables and fruit and b) that’s too many calories that should have been eaten in food-form. So, what I do, in moments where I know I’m especially stressed out and would be likely to reach out and take the easy option (i.e. just have a bar instead of go into the kitchen and cook), I lock them. Easy peasy, right? Here’s their website if you want to learn more about the Kitchen Safe.